At $250 for lifetime DVR service, buyers will start saving money after 17 months. TiVo’s Roamio boxes might not be much longer for this world, but for now you can get a great deal on DVR service if you’re willing to buy one of the aging boxes. TiVo is currently offering lifetime DVR service for $249 with the purchase of either a Roamio or Roamio OTA. The regular price of DVR service is $15 per month, so buyers will start saving money at the 17-month mark. The hardware itself costs $50 for the Roamio OTA, which records broadcast channels such as NBC and Fox from an over-the-air antenna. Cable subscribers can pick up a regular Roamio for $150—that’s $50 off the regular price—or get a refurbished model for $50. All Roamio devices support recording up to four shows at once and can store up to 500 hours of programming. If you don’t mind the lack of streaming capabilities, now’s a pretty good time to get on board. Just keep in mind that Lifetime service is tied to a single DVR. If the hardware breaks, or you decide to upgrade, you’ll have to purchase another service plan. 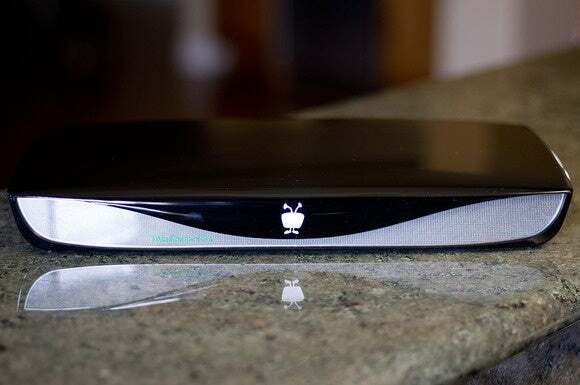 That’s especially noteworthy given that TiVo is rumored to be launching new hardware soon. As Zatz Not Funny has reported, references to a “TiVo Bolt” have popped up on the company’s website and in trademark filings. Features may include a slimmed-down design and built-in transcoding, so that users can stream their recordings to phones, tablets, and an Apple TV. If you want that capability on the existing Roamio or Roamio OTA, you’ll need to buy a TiVo Stream for an extra $130. Why this matters: In our TiVo Roamio OTA review, the high price of monthly service was a major sticking point. Other options, such as ChannelMaster DVR+ and Tablo, offer cheaper or fee-free service, but with higher up-front costs, or you can roll-your-own service with a desktop PC and tuner. None of those options are as simple as TiVo, however, so if you don’t mind the lack of streaming capabilities, now’s a pretty good time to get on board.